Permit me a little but necessary detour before I come back to what led to this letter. 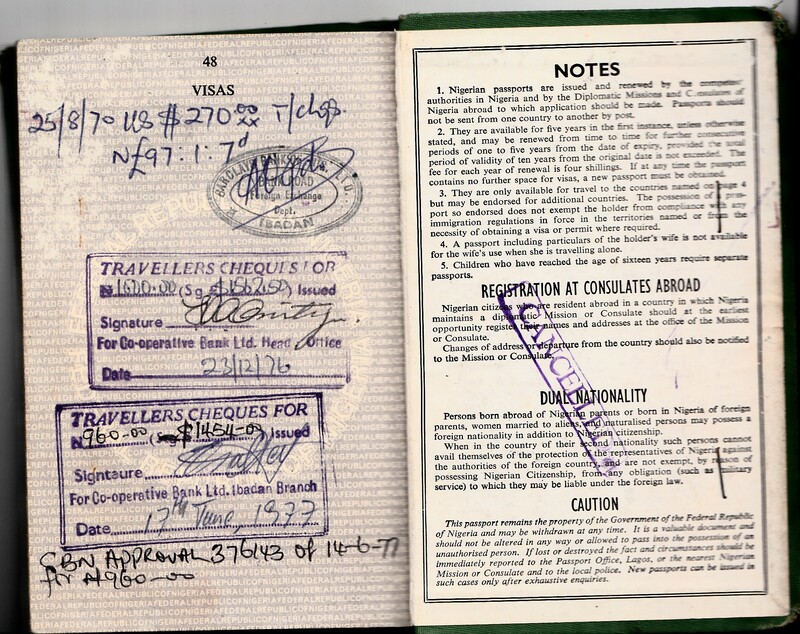 Four Nigerian passports ago when I first traveled out, I exchanged ninety-seven Nigerian pound s (N194) for United States two hundred and seventy dollars ($270). Going back in January 1973, I got three hundred ($300) dollars for under two hundred naira (N198.40). In December 1976, I got a little over fifteen hundred dollars for a thousand naira and to skip some dates to fast forward my story, I got seven hundred and ninety dollars for two naira short of five hundred naira in April 1978. Enter Alhaji Shagari’s presidency and by 1980, Nigeria was doing very well, getting a lot of foreign exchange from oil and the naira was riding very high. In February 1980, he had been about five months on the Nigerian throne when I got issued nine hundred U.S. dollars in exchange for N498.83. In June of the same year, the naira was still a healthy 1.81225 to the U.S. dollar when a CBN approval translated N1495.11 to $2710, i.e. under fifteen hundred naira for almost twenty-eight hundred dollars! By May 1983, the rate had gone down to around 1.4 dollars to the naira so that seven hundred dollars were exchanged for N495.26. Exit Shagari and Enter Buhari/Idiagbon, the only government that has ever fought to stem the tide of a falling naira. In fact, the Buhari-led government put up a very spirited fight to strengthen the national currency by refusing the onslaught of the IMF and its cohorts that were bent on living up to their reputation of impoverishing poor countries. That was not the kind of leader wanted for a Third World country, dear, and so, Buhari, aided in great measure by his high-handedness and religious extremism, had to go. Enter the gap-toothed general with a ready smile on his lips while a dagger hid in one hand at his back. I’ve read often that this guy styled himself an “evil genius” but even if the sobriquet was not self-inflicted, Our Man from Minna certainly lived up to that Dantesque description. He kept Nigerians on a leash and let them believe they were the masters of their own fate: repealed the draconian Buhari decrees, threw the taking of an IMF-loan debate supposedly in the public arena. 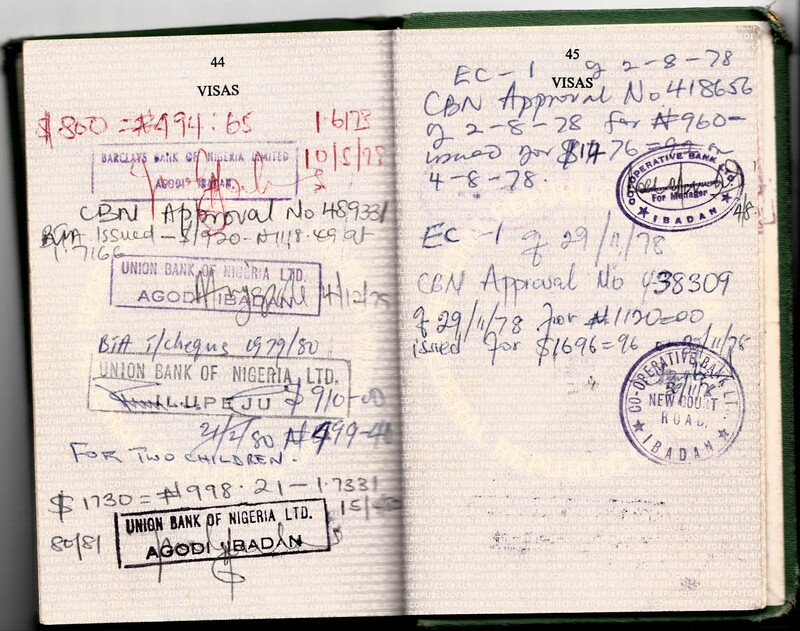 By the time my family and I – like the mythical Nigerian ‘Andrew’ – checked back to the States in the summer of 1988, we needed four naira to purchase a dollar but that seemingly unbelievable rate would pale when compared to forty-six naira we got for each dollar on a visit in 1993. Yewande, dear, your own memories go back enough for me not to bore you with the continued slide of the Naira since then but suffice it is to say that a mere five years ago when Abacha died, the rate at the parallel markets was around eighty. As I’m writing you, a dollar will get you a hundred and forty-two naira and fifty kobo. What happened between 1970 – or even 1993 – to the naira when then, as now, dollar-denominated crude oil remains our only major foreign exchange earner and we are not a manufacturing nation with lots of goods that we want to be competitive in the world market and must, of necessity, have a weak currency to attract buyers? 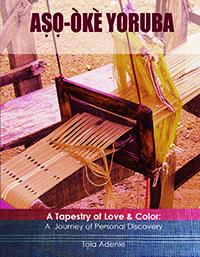 From A Nostalgic longing for our “mentors” in ‘Letters to my niece’ series. 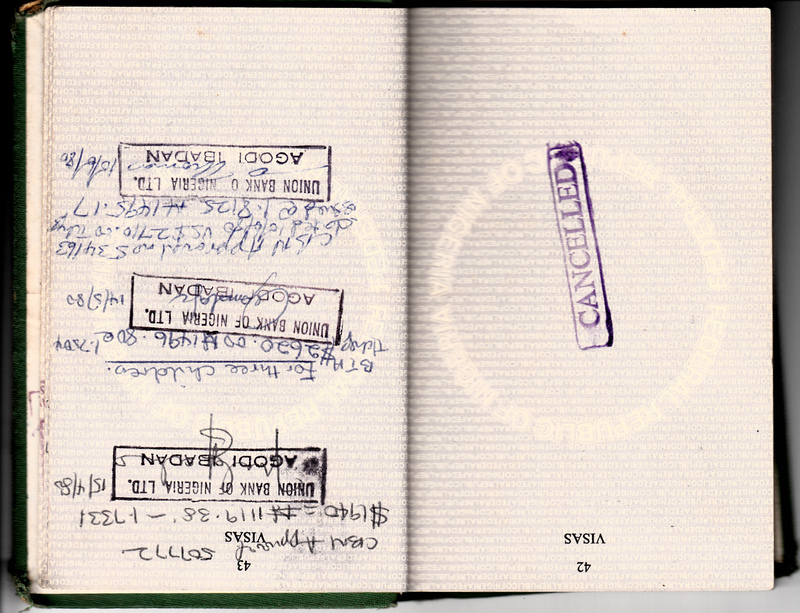 To update above essay, I’ve pulled out an old Nigerian passport which images bear the real emblems of our collective shame. Other currencies go up and down but the only direction for the Nigerian currencies since the tail end of the Nigerian Pound when a single one exchanged for around $3.00 or thereabout to the Naira – is DOWN. Our situation has not changed: Nigeria still produces nothing for export but crude oil but the Naira, indexed against the same US dollar in which the only export is priced, keeps falling against the same currency. Even the fancy economist, Dr. Iweala who rules Nigeria’s economy, cannot explain this simple economics paradox. Right now, you need around N160.00 to buy an Uncle Sam’s greenback. A couple of years ago, it was bandied on the NIGERIAN STREETS that it would go up to N200.00 to US$1.00. Tighten your loins, even further, fellow citizens, and get ready to pay N50.00 for a tiny tin of garri . The following images of what would actually qualify as “old glory” to borrow a sobriquet for the American flag, were not used in the 2003 newspaper essay above. A one-export economy indexed in USD permanently slides against same currency;why?, Continued pummeling of the Nigerian currency, Nigerian currency's continuous devaluation has roots in country's corruption, The pauperization of Nigerian masses, Why do Nigerian leaders go along with donor countries/agencies about a weak Naira? Who will save the Naira? Indeed, a million naira question. Are we not at the mercy of a few, but very powerful cabal(in Nigeria) ‘turning the dial’ in such a way that the Naira will be weak to benefit their pockets? Perhaps, if we’re a manufacturing nation, things will be better. Again, this hope is predicated on the wish that the cabal will ‘let my people go’! We may never get to the ‘promised land’ unless each one of us decidedly take our destiny in our hands. I love the journey down the memory lane on Buhari. I have been searching for such for 2 months. Thanks v. much, Prof. I know; we can always count on Dr. Ajetunmobi to bring up facts and figures that are necessary to shed light on any of the subjects that trouble our country. Nigeria has been ruled by a “cabal” that continues to wax stronger and stronger but unfortunately, we seem stuck in the old template of fighting a well organized “crime syndicate masquerading as a nation” not “taking our destiny in our hands”. We still rely on labor unions that are led by, perhaps, the wealthiest labor leaders in the world who call out the troops, make a song and dance of leading strikes/protests, “breathe” fire and with a wink and a nod, negotiate with the rulers. –	NIGERIA’S ECONOMIC POLICIES WERE PURSUED WITHIN THE BROAD FRAMEWORK OF CONTINUING NEGOTIATIONS WITH THE IMF AS BEGUN UNDER SHEHU SHAGARI CIVILIAN GOVERNMENT. From the above, in what sense must we continue to clamour for a strong, autocratic or detached leader instead of arguing for the entrenchment of a strong institution? Old habits die hard, I am happy to be convinced that, his being at the helm, an old Buhari in khaki cloth will be totally different from a new Buhari, in three piece outfits like the agbada or babaringa. Now, don’t all Nigerian leaders with the exception of perhaps Murtala Muhammed, seem to always come with baggage? To the point at hand, this essay’s central point is the UNNECESSARY beatings – from the little of economic theory and practice that I know – that each successive government has allowed the Naira to take. As for the reference to Buhari refusing to take an IMF loan in the 2003 essay, it IS the truth and no amount of revisionism nor Buhari’s negatives could ever erase that fact. Finally, Doctor, I think the comments here seem not to be directed at my 2003 essay or to the short update I’ve added to it. 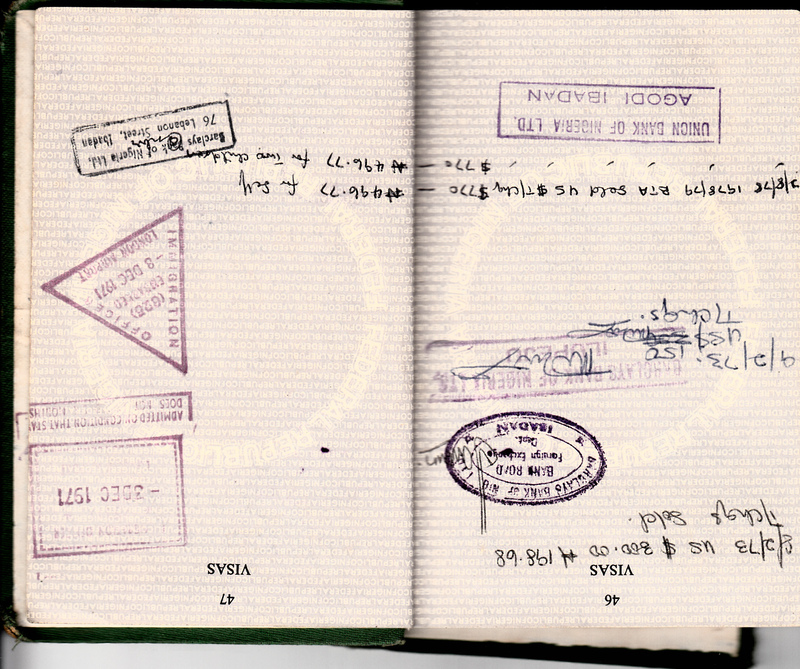 I’ve provided info that I believe younger readers – 20s, 30s, 40s and even 50s – would enjoy, strengthened by scanned pages from one of my old passports. My apologies for concentrating on Buhari issue alone. I was just thinking that people might wish to be reminded of the other side of Buhari since he was singularly praised in that piece for stemming the downward spiral of Naira . Even so I still don’t think Buhari should be praised for protecting Naira; fall the Naira would have eventually fallen flat had he remained in power for long. Why? Because Buhari was prepared to devalue the Naira during the negotiations with the IMF, the only sticking point then, before Babangida came in, was Buhari’s disagreement with the IMF over the NAIRA DEVALUATION LEVEL ACCEPTABLE TO THE IMF. So the intent was there; and there was also a policy of selective privatisation of some government-owned companies and parastatals. Thanks, Dr. You are welcome to write an essay for the blog on Buhari at any time but the issue of continued loss of value of the Naira is very important to the survival of the country and should never be dismissed. Just today, the news of a further loan of almost $10 billion has been presented to the Senate which, as the country is governed, will pass without a whimper. THAT is going to bring further devaluation. My writings these past several years that I’ve been privileged to be in the writing business since my tutelage at THE DAILY SKETCH in the 70s show a consistent pattern of never pandering to anybody. Retd. General Buhari has been the subject of SEVERAL essays that were critical of him but in the matter of ruling Nigeria, it’s been more of bad, worse, worst. During General Obasanjo’s recent presidency, pardon my being the one saying so, mine was one of the very few voices within the newspaper essay-writing business that always pointed out what I believed needed to be pointed out. Who will save the Naira?